Do you still back up your documents on thumb drives and portable hard disks? It's time you consider cloud storage. 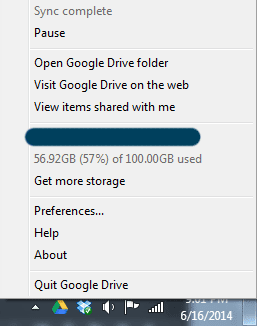 Recently, I signed up for Google Drive's 100 GB plan. For USD $1.99 a month, I get to back up my documents, books, photos and movies. In this post, I pit Google Drive against other cloud storage providers and against having your own NAS. I also show you the full potential of Google Drive, it's draw-backs and securing access to it. 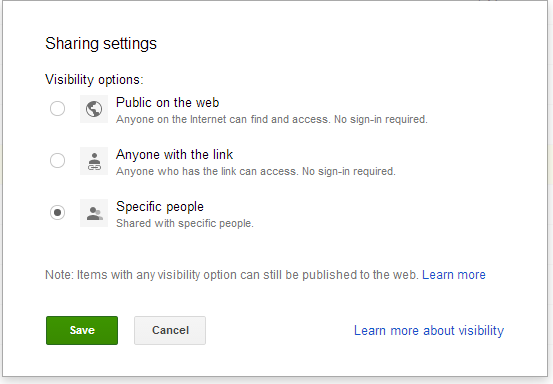 Do you have a Google account? or Gmail? or Android-based phone? If you answered yes, you may not realise that you are already using Google Drive. If you do not, go to drive.google.com, create a Google account and you can begin using it. Dragging any files or folders from your computer to Google Drive in your browser will immediately upload them. Now, when you sign in to other computers or your mobile phone, you can download your files there. The good news is the first 15 GB of your Google Drive account is free. It costs you zero dollars to store 15 GB of your emails, photos and files. If you run out of space, upgrade to the 100 GB plan which costs USD $1.99 a month. It used to be USD $4.99 monthly for 100 GB until Google dropped the price in March this year. If you were holding back due to the price, now is a good time. 1 TB = 10 * 100 GB. There are 5 tiers you can upgrade to. At the 100 GB tier, the cost per TB per month is $19.90. From the 1 TB to 30 TB tiers, the cost per TB per month is $9.99. It is more cost effective to be on the 1 TB at least as it is 50% cheaper per TB. However, if you are not using that much of space, there's no point in throwing more money at it. Google is very cost effective in the storage game. 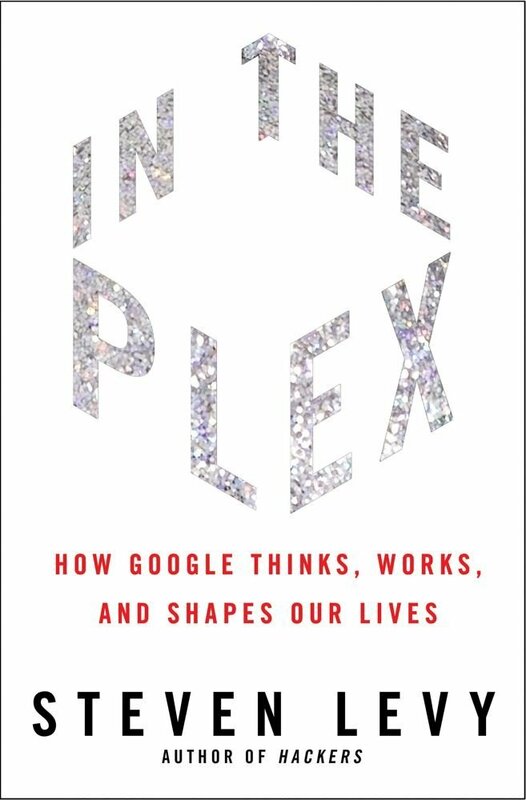 In the book "In The Plex", Steven Levy talks about Google's strategy with storing data. They buy cheap second-hand hard drives and expect them to fail. They can afford to do that because they built a file system where the data is split into multiple parts and the parts are duplicated across different hard drives. This ensures there is always a copy of your data. Google's system is built to expect failures and then recover from it. To me, this is a better strategy than preventing failure from happening. What if you ran out of money and didn't make payment to Google? Google Drive will continue to store your data even if you stop paying. You are just not able to access them until you re-instate payment. You can be a real cheapo and pay only on the months when you want to backup or download data, then stop payment on the next month. Going by the trend of storage cost, the cost will continue to go down which means it will only become more affordable. How does this compare to other competitors? By comparing the price from established cloud storage providers, you can see how big the gap is between Google and it's competitors. The prices below are in USD paid on an annual basis. The free tier row shows how much space you get for nothing. The remaining rows shows you how much you have to pay for more space. Google's vision is for cloud storage is big - it wants all your data. Its price plan jumps from 100 GB to 1 TB with no in-betweens. Only Amazon has a 1 TB tier and it costs 4 times more than Google. Apple maxes out at 50 GB. No other competitors even comes close to Google's cost per GB per year at the moment. * At the time of writing, Apple is launching iCloud Drive together with iOS 8 soon, offering 200 GB at USD $48. It's not official yet so I can't put it into the table. What about building my own NAS? You may say, "wait, what if I do my own cloud storage?" Yes, you definitely could get a NAS (Network Attached Storage), plug in two 1 TB hard drives and make it accessible via the Internet. 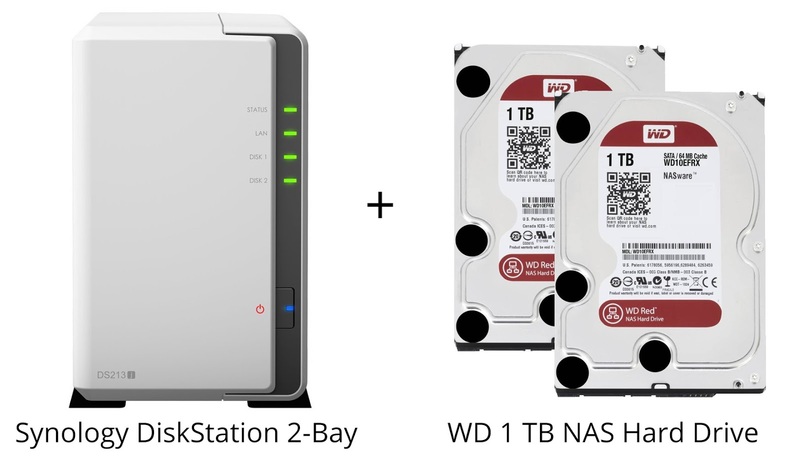 A quick check on Amazon: Synology DiskStation 2-Bay is USD $192.52 and the WD 1 TB NAS hard drive is USD $65.04. You will need two hard drives to form a RAID. This low-end budget NAS comes up to USD $322 (electricity not included). It is the about same amount if you have a Google Drive 1 TB account for 3 years. In the long run, it may be cheaper to have your own NAS. Also, all data privacy paranoids will love NAS (or maybe they use pen and paper to store data). Just make sure you have an offsite backup for your NAS because you never know when a fire, earthquake or flood will strike. Additionally, you have to deal with security issues of exposing your NAS publicly on the Internet. The way I see it, the biggest competitor of Google Drive is not the price. It is time. The Internet bandwidth in Singapore is fast enough when we are talking about documents, photos and music. But if you want to store your all movies on the cloud, is it fast enough? I did an upload speed test to Google Drive at peak hours (the test lasted from 8pm to 9.30pm on a Thursday night). I copied 22 GB of movies to Google Drive. It took a total of 1 hour 37 minutes which is 3.87 MB per second. I'm using M1's 200 Mbps plan. To put 2 TB of files on Google Drive, that is going to take 6 straight days. Say you manage to upload all your movies, does it mean you have to download the movies every time you wanted to view it? It looks like Google have a solution for that. Here's the magical part, Google Drive can stream your movies. If you think about it, Google already has the technology in place and it's called YouTube. It's just a matter of processing your private videos and streaming it HD quality. When I first tested it out on my Android phone, I was pleasantly surprised to have my movies streamed over. However, Google Drive was only able to process 50% of the movies I synced over. This could be due to a format problem which I am still figuring out. When it works, the streaming feature is like pixie-dust magic. Instead of downloading the entire movie, I can watch it immediately, fast-forward to the scene that I want to watch and choose between HD and SD quality. Streaming the movie from Google Drive on my Galaxy S4. Next, I shared the movie privately with Ellis and she could watch it on her iPad. This opens up a lot of ideas for me. Now, I can share a movie privately with a client or a friend without having to post it on YouTube or other video streaming services. I will be careful about sharing copyrighted movies publicly through due to copyright infringement. Sharing a file is easy on Google Drive. In the file details, you enter the recipient's email and he gets link to your file. If the recipient does not have a Google Account, he can sign up for an account. Without a Google account, he can view the file but cannot edit it. The Google Account enforces security on the files. It ensures that your file is only shared with the intended recipient. You can also shares files publicly which lets anyone download it. For example, the photos that I upload to Blogger automatically has public access. You can read the steps on sharing files in Google Drive. As I am using an Android phone, I use the auto-backup feature that uploads photos from my camera roll to Google photos when there is a WiFi connection. I also store my travel photos onto Google Drive. The photos in your Google Drive and Auto Backup appears in Google Photos as albums. The Stories feature select certain photos from your albums and make it a highlights albums of your overseas trips or weekend activities. My favourite feature, is Auto Awesome. It automatically make make a motion gif using several photos taken in succession. It also auto-tunes your photo contrasts, create collages or combine several shots into one where everyone is smiling. There is one thing you should know: Google is over-zealous in indexing your private photos. I discovered this by accident. In Google Photos, you can search your photos with words. 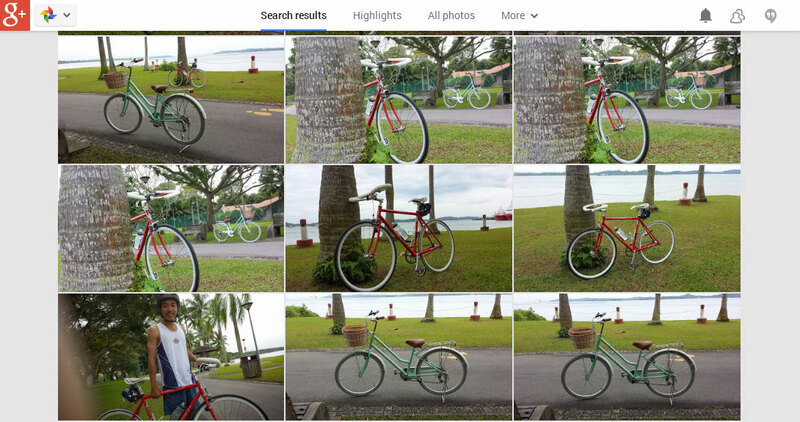 When I entered "bicycle" into the search box, I was shown all my photos that had a bicycle in it. These photos were not labelled in any way. I tried other search terms like "cake", "london", "flowers" and photo results were spot on. From my limited testing, I can say that Google's indexing AI has very high accuracy with common objects and locations. This should not be surprising as Google Image search has already been around for long. It's only applying the same technology to your private photos. If you are a privacy freak, automatic photo indexing will be unsettling for you. The alternatives will be Flickr (1 TB free) and SmugMug (Unlimited space at $40 a year). I had a SmugMug account until last month when I decided to move all my photos to Google Drive. Moving the photos off SmugMug was a chore as I had to download the galleries individually and that took me two days. 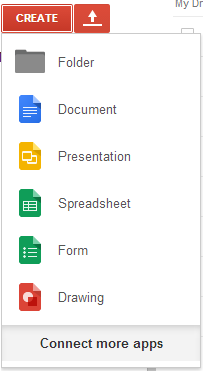 Google Docs and Sheets are like the Microsoft Word and Excel we are familiar with. Docs and Sheets saves on your Google Drive but do not count towards the space taken up. I use Docs and Sheets a lot. Back when I was in university in 2008, I was already using it with my team mates. As you make changes to the document, your team mate can see it immediately. It cuts down on the need to email updated documents back and forth. Fast forward to today, Google Docs team has made improvements to the apps and it is more reliable than ever. They have added Presentation (Powerpoint), Drawing (Visio) and Form. For example, Ellis has this awesome Google Sheet that tracks every aspects of our wedding. Both of us can work on it together. It is so convenient to just share and collaborate online. If you are still on the email-documents-around method, it's time to change the way you work. If your friends are still sending documents to your Gmail, it's not a problem. Gmail have a useful feature that lets you save any file attachments to Google Drive directly. This is faster than downloading to your desktop and uploading back to your Google Drive. 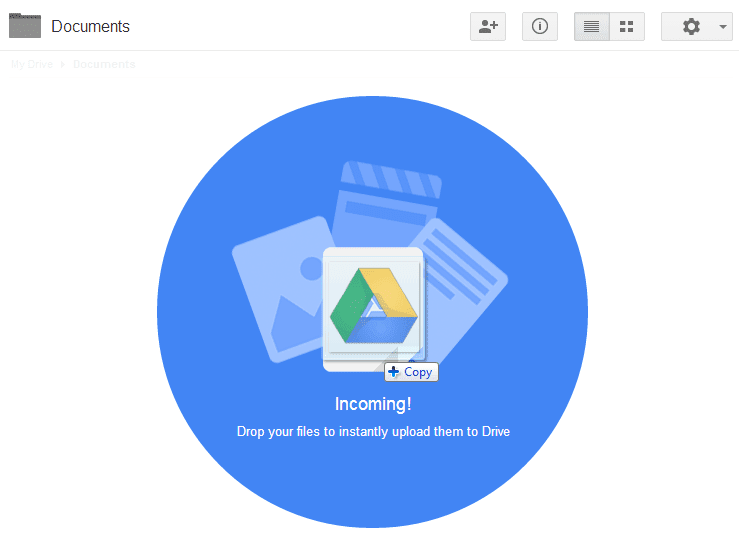 Once the file is on Google Drive, share it back with them and teach them about sharing. While you can access Google Drive through your web browser, Google has native desktop applications for Window and OS X. Go to this download page to install Google Drive Sync and here is a step-by-step guide to install it. After installing the application, a folder named Google Drive is created. It works just like an ordinary folder. When you put files into the Google Drive folder, it stays there and appears like nothing is happening. However, the Google Drive application is syncing your files in the background. You can check on the status by checking the Google Drive tray icon. The files that are already existing on your Google Drives will automatically sync over to your hard disk. You can choose which folders to sync in Preferences. For me, I have a documents folder where I sync everything. For the media files, I selectively choose what I want to sync. The Google Drive acts as both a backup and an extension of my desktop hard drive. When it comes to syncing large file or many files, using the desktop app is more reliable compared to the browser version. I tried uploading folder containing 400 plus photos in it and the browser will only detect the first 100 and ignore the rest. Also, when I upload large files via Chrome, I sometimes forget and close the Google Drive tab, losing all progress. There are no such issues with the desktop application. There is Google Drive app for both Android and iOS too. I have it installed on both Galaxy S4 and iPad. The mobile integration completes the overall experience of Google Drive. Due to the limited space on mobile devices, Google Drive will not sync all files over. Instead, you can browse all your files and open them. If you mark the file to "Keep on this device", Google Drive will sync the file to your mobile device's local storage and you can view them offline. 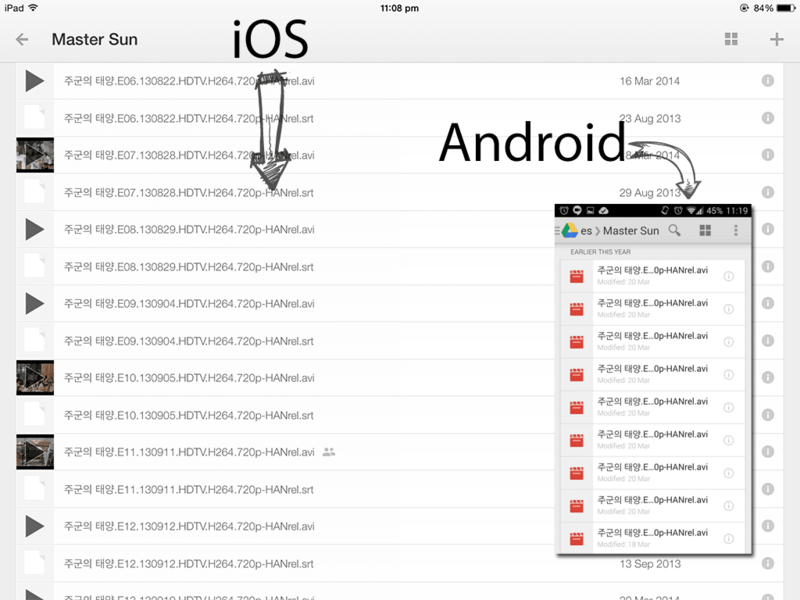 The screenshot above shows Google Drive running on both iOS and Android . This openness is a huge advantage. Google Drive does not restrict you to a certain OS or device. This zero switching cost should not be underestimated. Working on the docs and sheets on your mobile device is easy as Google has specific mobile apps for them. If you are heavily invested into Google Drive, I highly recommend that you enable Google Authenticator. This is an application that you install on your mobile phone that generates a one-time pin every 30 seconds. When you sign in to your Google account, you enter your password and the one-time pin. This is similar to the Internet Banking token you use for banking in Singapore. Even if someone knows your password, he still need the one-time pin. Google Authenticate is free to activate and use on your Google Account. It can only be installed on one phone at a time. If you are changing phones, remember to transfer the application over the new phone. Google also tries to make it as hassle-free as possible. For your trusted devices like desktop, laptop, tablet and mobile phones, you only need to sign in once. 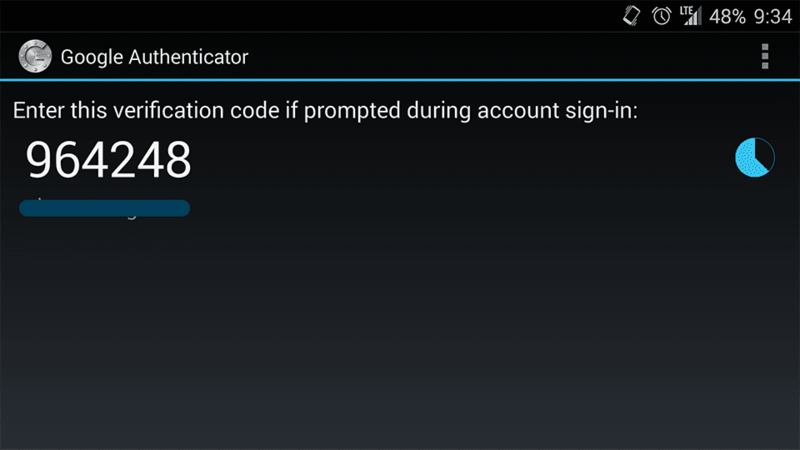 After that, the device remains trusted and Google will ask for your password occasionally. If you selling off your device, remove the device from your Google account page. Many companies have Google Drive on their blacklist. The fact is any website that offers file storage are blacklisted on the company's Internet proxy. If given access, employees may accidentally or intentionally leak confidential documents out of the company. It's a legal and PR nightmare. Therefore, there is very little chance you can access Google Drive at work. If you can, just be careful with what you are copying out of the company. This may sound like a huge disadvantage. However, you are better working on your personal data with your own mobile devices and laptop. If you copy your personal data from Google Drive over the company's network, there is no guarantee who may be looking at those data (SSL protection can be useless over Internet proxy). Most of the points I brought up are pro-Google. However, it does not mean the others are doing a bad job. I have personally used iCloud (my iPad back-ups), Dropbox (which I used up my free 2 GB), One Drive (some Word documents here) and Amazon's Cloud Drive (my Kindle books). They all offer back-up. However, Google Drive is about back-up and something more. It is about accessing my files across devices easily. It is about sharing files with my friends and family securely. Finally, Google Drive wants to let me do all that at an affordable price. For that, I tell Google, "Shut up and take my money!"